Peter is a Magician and entertainer specialising in close up and table magic combining his unique style of humour and banter with some amazing magic. Ideal for weddings, parties, social and corporate events. Covering the South East. Steve Drury Magic performer of traditional magic, mind-magic mentalism and bizarre magick for parties, events, weddings and corporate. My name is James Magic. I am a magician based in Essex. I perform shows for children and adults, all over Essex, Suffolk, Kent and London. Including Basildon, Southend, Grays, Canvey, Chelmsford, Brentwood etc. My shows include comedy Magic, Puppets, Games for children ,Balloon Modelling and Party Dances. I do shows for adults also which includes audience participation and close up magic around the tables. Give your child (Or Adult) a Party to remember contact James magic. Feedback: "Hi James, We just wanted to send you a quick email to say a big thanks for making Rosie's birthday party so special. We thought that you were excellent and certainly held the attention of 25 small children better than most adults could! Paul is a highly accomplished professional magician with over 40 years experience and is well equipped to provide that extra special entertainment. His unique blend of close-up magic, delivered with humour and unbelievable skill is ideal for entertaining your guests. His attention to detail without any fuss makes him ideally suitable for Weddings, Anniversaries, Birthdays, Dinners and Special Events including Corporate Functions. Paul will leave your guests spellbound by his magic and will turn your special event into a truly magical and memorable event. 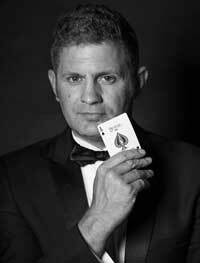 For your peace of mind Paul is a member of The Magic Circle, Equity and The Ilford Magic Society. My amazing and amusing close up magic, always presented with a touch of subtle (if sometimes naughty) humour, has been seen in prestigious venues throughout the U.K. and mainland Europe, including hotels and restaurants such as The Waldorf, Strand Palace, The Cumberland, Grosvenor House, Sticky Fingers, Café de Paris also at The Houses of Parliament, The London Stock Exchange, The Theatre Royal Drury Lane and for major business clients at the NEC. Previous clients include The Ford Motor Co, BT, Tesco Stores, Lever Bros, News International, The Stage, Chevron Oil, NatWest Bank, Whitbread Leisure, Debenhams, Schroeder, The Royal Bank of Canada and The South African High Commission. During the interval we were treated to the ‘Close-up Magic’ skills of Chris Stevens. His dexterity with the cards is remarkable and he has a nice line in gentle comedy patter. He has to be one of the best in his field. Please visit my website for info on all the other entertainment I provide. Providing traditional children's magic with mischievous modern puppetry for parties, nurseries and schools. Also larger stage routines with mysterious mind-magic Mentalism and bizarre illusions for the older audience. A pioneer of close-up magic in the UK, ideal for weddings, private parties and any corporate event. Any time - any where. Experience Terry's unique blend of subtle humour and stunning magic and make your party one to remember! Terry is a highly experienced and professional entertainer, his easy-going comedy style together with sleight of hand, incredible mind reading and superb card skills brings any occasion to life. Terry is also a top children's entertainer in the Essex area. Filled with laughter, crazy tricks and foolery! The magic always seems to go wrong, until the children are asked to help, and then it gets even worse!! Birthday children are made the star of the show and get a special prize. 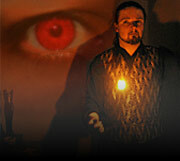 Magic can be incorporated with other party entertainments for your special event. Marcel covers the Essex and London area, including Clacton, Walton, Frinton, Colchester, Chelmsford, Ipswich and London. Essex "Mind Magician" Andrew Edmonds fuses sleight of hand with psychological techniques to create a unique form of magic that will leave your audience spellbound. Performs close up and cabaret at weddings, private parties and corporate events. Magic for adults who are still young at heart. I have performed at many top London restaurants, bars and night clubs. I also have the rare distinction of performing a card trick on the radio with Chris Tarrant on Capital Radio. During recent visits to Las Vegas I befriended many famous performers including Siegfried and Roy - who invited me backstage on every occasion, Mac King - the presenter of the television series ‘Worlds Greatest Magic’, Rick Thomas - Illusionist and Dixie Dooley – Houdini tribute escapologist. My performing abilities were used a while ago when I played one of the lead parts in the world premier of a play by Peter Whelan entitled ‘Shakespeare Country’. Hi, my name is Philip Williams. I am 21 years old and perform close-up/street magic combined with mentalism to create a unique blend of magical entertainment. Tarrantino is a Professional Magician based in Romford, London, His performances which include mind blowing magic in your face, have seen him invited to perform for some of the most high profile companies and individuals in the world. Corporate Performances include trade shows, exhibitions, product launches and functions of numerous kinds for some of the biggest and most successful companies in operation today. Privately he has been asked to perform for and alongside international selling music artists, at the weddings of Premiership footballers, at parties thrown by the stars of the stage and screen, and can be seen regularly performing for some of the most successful individuals in the world at their private residencies in the area of Romford in which he currently resides. His style of modern and contemporary deception combines classic traditional expertise with close up magic using in your face mind exploding magic in order to achieve the apparently impossible, leaving you questioning your reality. He is one of very few magicians in the world specialising in this area of “Close up” and “Cards” who can also offer you more traditional Magical entertainment at the same time, for example borrowing a £5 and turning it into a £50, vanishing a borrowed ring and have it re-appear, voodoo and floating objects. Hi I am Leon a magician from Southend in Essex. I specialize in card magic, from vanishing and re-appearing cards to card that catch on fire. Being a card magician I can easily fit into the back ground at parties, restaurants and weddings. Also i can entertain groups of people at tables should you require this service. Also available as a pair of magicians if your party or group is large. Let magic take you into the third dimension!! Performing magic at children's parties, barbeques and leaving celebrations in Kuwait, Bahrain and UK since 2008. This year also working in Cambodia, USA and France. I can also organise face-painting, children's games and balloon modelling.